As a twenty-something enrolled at the Middle Temple, where he came to know as much about the law as ‘of necromancy’, and making not the slightest attempt to resist the temptations of an ‘idle and luxurious capital’, the future icon of Irish republican nationalism Theobald Wolfe Tone had, of a morning after the night before, often wished to be in some peaceable Mahometan country because he so ‘detested’ the sound of church bells. Paradoxically, this burst of humour and self-mockery with which his vivid diaries are infused leads us to ponder the early Islamic tradition of biography, which narrates the prophet’s life and lessons to emulate, as a journey. And travel Tone did, both physically and metaphorically. His clandestine mission to France in 1796, instrumental in bringing about the French expeditions to Ireland, remains one of the most adventurous feats of Irish history. Cynics and/or those simply weary of his posthumous adulation, not to mention the sectarian appropriation of Tone’s memory by physical-force paramilitaries, which distorted his Enlightenment message, catalogued his life as a sequence of failures, yet few denied the heroism of the military venture which cost him his life. It was precisely in what Elliott refers to as his ‘republican exile’ in France that Tone wrote up his autobiographical memoir, waiting with confused emotions to set sail on the Bantry expedition. 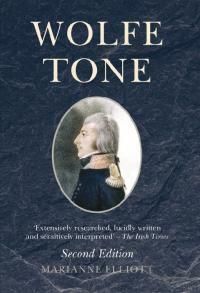 Borrowing from Shakespeare, as he regularly did (rather than Locke or Montesquieu, Paine or Burke), Tone had gravely mused on his likely fate: in times of revolution it was but a ‘short journey . . . from prison to that undiscovered country’ from which ‘no traveller returns’ (Hamlet). Within the very Anglophobic environment of Directorial France, Tone explored more than any other Irish voice the depths of his love of fatherland, exposing himself, as Elliott stresses, to the ‘anachronistic singling out of catch-phrases’ to support later ideologies. Yet generations of readers willingly followed him on this quest. The original title of what remains his definitive biography, first published in the tense but forward-looking historiographical context of 1989, had been Wolfe Tone: prophet of Irish independence. 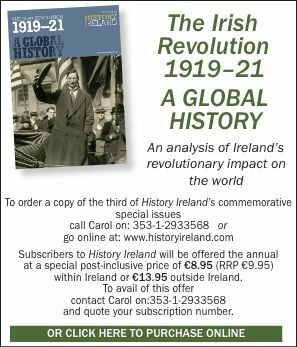 This epithet has now been removed from the cover and subtly embedded into the book’s introduction, which stresses the often contradictory misreadings of Tone and the tragic outcome of his vision of an independent Irish nation, freed from English rule and religious divisions. Achieving the one had intensified the other, yet as we approach the 250th anniversary of his birth in 2013, Elliott remains adamant that Tone remains a living force in Ireland. This second edition of her magisterial treatment of one of the leading founders of the United Irishmen, effective champion of Catholic emancipation and still irritatingly heralded in pop folkore as the leader of the 1798 Rebellion, was expected after the long-awaited publication of the three-volume set by Moody, McDowell and Woods (eds) of the scholarly edition of Tone’s complete Writings (1998–2007). There is very little new material in this edition, which follows the same linear-chronological structure and chapter headings as the original, but bibliographical updates point readers towards recent scholarship. Its strength lies in the thoroughness of archival research on which Elliott’s reputation rests, and which led her to repositories in no less than five countries. This colossal task had redressed the fact that there had been many brief but derivative lives until McDermot’s in 1939 (which she warmly acknowledges). Crucially, she had also accessed papers held privately by family descendants in the United States (many of which are now reproduced in the Writings). Skilfully, and with the shrewdly observant eye needed when approaching this effusive character and compulsive talker, Tone’s private life and public actions were woven together. Sylvie Kleinman lectures in Irish history at Trinity College.